As emerging technology defines success in today’s society, Australian Computer Society (ACS) provides a network of support to enable you to be an active participate in the future. 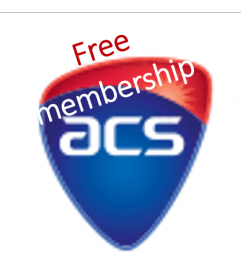 For a limited time, the ACS is offering all who work in a digital environment, limited membership free including teachers and students 16 years of age and older. Register for your FREE Trial. With 23,000 members in Australia, the ACS exists to advance professional excellence in ICT. The objectives are to further the study, science and application of people and organisations; maintain and promote a Code of Ethics for members of the ACS; define and promote standards of knowledge of ICT for members; promote the formulation of effective policies on ICT and related matters; extend the knowledge and understanding of ICT in the community; promote the benefits of membership of the Society; and promote the benefits of employing members of the Society.